These lists included such things as the Top 10 Signs Your Kid Had a Bad First Day at School, the Top 10 Numbers Between One and 10, and the Top 10 Dog Excuses for Losing the Dog Show (No. 3 - Didn’t know that was the judge’s leg). With that in mind, here’s Dennis Hancock’s “Top 7 Factors that Affect Hay Forage Quality.” The University of Georgia Extension forage specialist enumerated the list during a recent Alabama Forage Focus webinar. The factors are listed in order of perceived importance. Hancock pointed out that prioritizing yield over quality, or the time of harvest, often doesn’t benefit animal performance but rather just results in generating more manure. For hybrid bermudagrass, the forage specialist recommends taking first cut at 12 to 16 inches and subsequent cuttings at three and one-half to five week intervals. Cut cool-season grasses such as tall fescue, ryegrass, and orchardgrass at the boot to early flower stage for the initial spring cut and subsequent cuttings when plants reach 10 to 12 inches if high quality is the goal. Hancock suggested beef producers in the Southeast cut alfalfa at 10 to 20 percent bloom for first cut and 10 percent bloom thereafter. Dairy producers will want to be earlier for higher quality and cut at the bud stage, realizing that stand life may be shortened. “Forage species is also an important consideration,” Hancock said. “Use the highest quality species that will persist in your environment. There may be lots of things you can grow, but if it doesn’t persist long enough to offer an economic payback, then it’s really not worth growing,” he added. For beef producers, there are only a select few species in the Southeast that will consistently meet or exceed the needs of a lactating cow. These include small grains, annual ryegrass, and alfalfa or other legumes. Species such as bermudagrass will usually only be suitable for dry or late-lactation cows, unless it is supplemented. When bales are stored on ground that is not well drained, moisture wicks into the bottom of the bale. Hancock explained that this can lead to the bale becoming deformed, or flattened, and this results in further moisture penetration. Net wrapping helps but does not eliminate the issue. Rain causes carbohydrates (sugars) to leach from the forage tissue, causing fiber concentrations to rise while also lowering overall digestibility and dry matter intake. The most severe damage occurs when rain falls on forage that is late in the wilting process. Hay that is baled too wet is prone to excessive heating. At worst, this can cause spontaneous combustion, but even heated hay that doesn’t burn is subject to having high concentrations of heat-damaged, undigestible protein. This “caramelized” protein is desired by the animal from a palatability standpoint, but offers little in terms of nutritional value, akin to putting caramel on celery sticks. Hancock likes to see both round and square bales made at 15 percent moisture or less. He also noted that there are large differences in bermudagrass. For example, Tifton 85 has been shown to be 10 percent more digestible than Coastal and nearly 20 percent more digestible than Alicia, on average. Properly fertilized forage stands are needed to achieve optimum quality; however, Hancock pointed out that the response is very location specific. Though nitrogen may improve the crude protein content of grasses, too much of the nutrient may simply contribute to higher nitrate concentrations. Heavily fertilizing forages generally results in no improvement in digestibility. 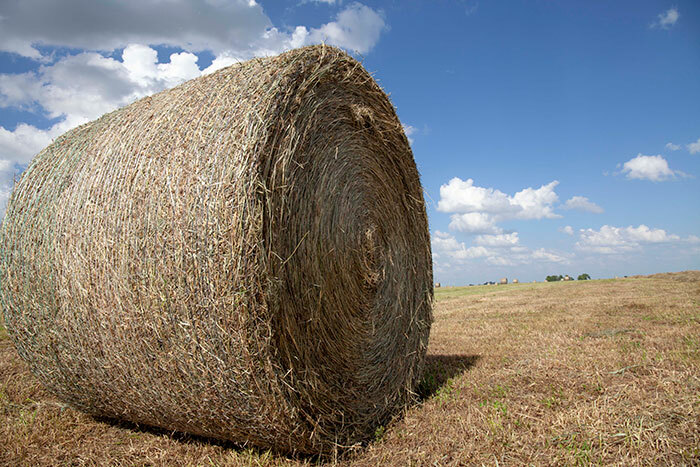 There you have it — the Top 7 factors impacting hay quality. It’s important to note that any one of these factors may be the primary one that is limiting forage quality for a specific field or farm. Let the discussion and arguments begin.